Yu Darvish has nearly perfected his pitch delivery by treating each pitch as a process, evident by the same release point for each pitch. We commonly associate Six Sigma and the DMAIC approach with improving the processes of manufacturing or certain service companies, but what about more unconventional industries? Professional Sports leagues are some of the largest businesses, yet they are hardly mentioned in regards to Six Sigma. Is it possible that athletes and coaches alike can use this quality management approach to improve their performances? Tennis star Steven Falk wrote “Six Sigma Tennis” where he explains how coaches and players can reach their maximum potential. Falk analyzes a tennis player to find areas that can be improved using DMAIC. After the improvements, the player has minimized his unforced errors; thereby reaching his highest ability. Falk focuses on individual sports like tennis, where it is easy to identify success and failure based on points won or loss. However, the mainstream sports in America like football, basketball, etc. present a harder situation to use Six Sigma. The Pittsburgh Penguins have created the best power play in the NHL by treating each play as a process, reaching a high level of efficiency. Focusing on hockey as an example, new statistical measures are being introduced to the game every season like Corsi and Fenwick now measuring puck possession. At the core of each new stat introduced is a desire to improve a team’s performance. So why can’t Six Sigma be used along with Corsi or Fenwick for improvement? Since Six Sigma results in 3.4 defects per million operations, essentially a forward could expect to miss only 3.4 shots for every million he shoots. A goalie could expect to save all but 3.4 of a million shots he faces. Unfortunately, these two scenarios cannot coexist—exemplifying the issue with Six Sigma in sports. 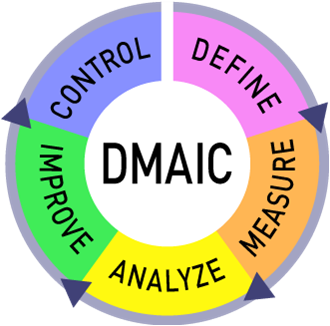 While reaching the Six Sigma level of efficiency is nearly impossible in sports, DMAIC can still be applied to improve the process. Taking the hockey power play as an example—a time when the offense should be able to capitalize on its advantage—coaches can take each play as an individual process. First, they will define the weakness in the play, perhaps the lack of shots being taken. Then, experts can measure the amount of shots during the power play, and analyze it by comparing league averages and past results. Players improve the process by increasing the amount of shots taken, and control it by maintaining that shot level throughout the season. 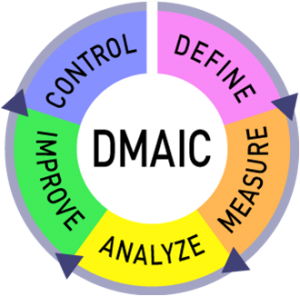 Sports certainly can be subject to DMAIC application, but do they need to be? The most entertaining moments in sports and the traits that make them so appealing often center on the anticipation of what will happen next. With Six Sigma and DMAIC, there is less unknown. Every golf shot should be a hole in one, and every batter should hit a home run each pitch. Gone would be the underdog victories or crazy upsets. Would near-perfect athletes be as entertaining? Even the Sidney Crosby and Tom Brady’s of the sports world make mistakes or bad plays. Perfect athletes throughout the leagues would be too predictable. Do you think implementing this type of process control would change sports? Should players and coaches actually take the time to improve their processes or is it dependent on the sport? Six Sigma is SO 2007. 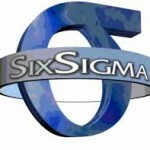 This is an article that focuses on Six Sigma and the fact that many companies view it as an outdated certification. While there are some very credible benefits in being Six Sigma certified, there are some major costs as well. According to the article it was a way to improve quality, but the major reason it gained so much popularity was because of its ability to cut costs and increase profitability. However, there were two standout problems with Six Sigma. First, having such a process oriented company reduced morale. Employees were being evaluated so much on process that they were not being recognized for their hard work or outstanding customer service. Their employee results were just based on numbers. The second problem was that customer sentiment dropped. 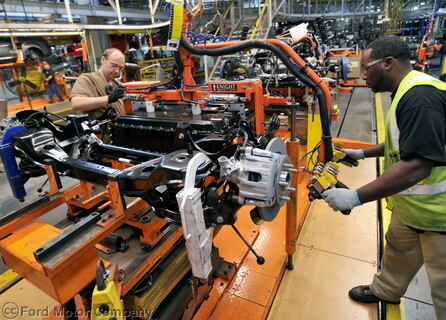 As a process focused company, the bottom line is to produce as much as possible with as little defects as possible. This may be great for a manufacturing plant, but for a company that works in customer service, it is ignoring a very important factor, the customers. Often times how a customer is treated will weigh more heavily on their decision to come back than the speed of their purchase. Furthermore, the article goes on to state process is key, but they also need to focus on things such as innovation and creativity to keep a company moving forward. A company can be an outstanding process performer but if they are behind the times with their products or customer service, then having an excellent process doesn’t mean a lot. 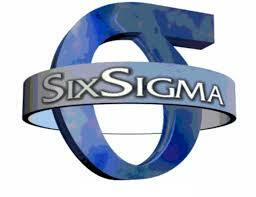 In conclusion, as we learned in our class, Six Sigma is an outstanding certification to have. It shows that a company is operating at a capacity with an extremely low rate of defect. However, in my opinion, in the case of the article, it sights that there may be more to a company’s success than excellence process. I tend to go with the belief similar to one mentioned in the article, that Process management is a good thing but it must be leavened a bit with a focus on innovation and customer relationships. With the article in mind, I have a couple of questions I’d like to open up to the class. First, would you go out of your way to be a customer of a Six Sigma company? Second, what is more important to you, a customer connection or Six Sigma certification? Recently in class we have been discussing various types of ways to improve processes and quality, within management operations systems, these include the Baldridge, Six Sigma, and ISO 9000 models. In class we have looked at the different ways that these models can improve quality and productivity, however the article I found talks about some of the downsides of these models, in this case, Six Sigma. The article from the Wall Street Journal http://online.wsj.com/article/SB10001424052748703298004574457471313938130.html specifically talks about an aerospace company that implemented Six sigma, but then what also happens after the new processes were put into place. The comparison that was used to describe the Six Sigma process was compared to a spring, initially when the process is implemented employees stretch out to accommodate the new work processes and work load that has been implemented, this phase appropriately named the “stretching phrase” which is when data is collected on how best the process will be implemented and which departments issues are most critical to address. However the problem is that when you become so focused on the process improvement initiatives you often begin to relegate some of the normal responsibilities in each department. The next phase described in the article is the “yielding phase” where the “spring” is still being stretched, and as described will become permanently deformed. Meaning that now management and improvement experts believe the issue has been resolved they more onto more pressing issues, the problem though is that these newly renovated departments now struggle to hold onto the gains in improvements they’ve made without any further direction from Six Sigma advisors. Without having the leadership that guided them on the initial improvements many departments begin going back to their old familiar ways resulting in a process that once again is not meeting its full potential. The last stage described in the failure of Six Sigma is appropriately named the “failing stage” where essentially the “spring breaks apart” meaning without further direction the departments lose motivation to keep pursuing their earlier successes. A main reason for this is the success or failure of these is that the employees personal reviews have little or nothing to do with these projects so it really holds little for them to gain or lose, in turn causing no one to step forward as a leader to continue the improvements they had made early on. With these three stages identified the articles also points out four key points that can be learned from the failure of a Six Sigma initiative. The first being that if success is to be permanent, a long term SixSigma advisor should be appointed. Second employee performance appraisals need to be tied to success or failure of initiative put into place. Third have small focused groups for initiatives so those involved knowing exactly what their goals are. Last Management should be directly involved in all aspects to know exactly what is taking place. What else do you think should be done to improve upon these processes other than the four stated “lessons learned”? Can you think of different ways to improve the processes that were described in the article? Over the past week we talked a lot about six sigma and how it can drastically improve the way a company does its day to day tasks. One article that sparked my interest was about how a college is going to offer a “Lean Manufacturing” course in which students would have the knowledge to pass the first exam and receive the rank of a Yellow Belt. This of course is if the material sticks and the students show interest in six sigma, but I felt this class was very similar to ours and wondered how a class like this has yet to be offered by DePaul, such as a MGT398 special topics course. One quote that I wanted to touch on is “Lean is not about making people work faster or harder; people are not waste. It’s about how you make those people more effective. It’s about establishing a system so that products or information can flow through processes at the pace of customer demand,” said Merrell. This is a very important point because a lot of people such as in the article about Starbucks believe it is going to turn companies to run more like a factory. Becoming more and more efficient is a must for companies in this economy and companies will constantly keep changing as need be. 1.Do you think you would enroll in a class where you would obtain the knowledge to get your Yellow Belt for Six Sigma? 2.Would this be of benefit to you for your current or future job? Recruitment Firms: Yay or Nay? I believe recruitment firms only solve temporary “fixes” in an organization’s staffing needs. They are not meant to help any organization to substantially improve quality and overall performance by any means. According to the author, it is best for the organization to hire a quality management professional to educate the organization of what is truly needed to proceed forward if the company wants to apply a lean Six Sigma concept. The firm will then understand what set of skills, knowledge, and experience one needs to successfully lead the firm down to quality management. While I do agree that a four-hour online training course does not mean that one is overly qualified for a job, but it does have an edge over other candidates who do not have certificates. Like most recruitment firms, they want to present the best possible candidates so clients would continue to use their services in the future. They don’t just select any, but the ones that stand out and would best fit the position. They are just doing their job. Reaching their margins is one goal, but keeping clients and candidates satisfied and content is another. If neither side is happy, then these recruitment firms fail at matchmaking which is the essential responsibility to their job. “Let recruitment firms provide the service they were intended to provide.” Recruiters don’t have the infrastructure in providing management solutions. They have no idea what the organizational goals or what the mission statement is. Recruiters are only provided with job descriptions, job requirements, what the organization’s vision of an ideal candidate would look like and then recruiters proceed to source candidates to find the ones that best meet what the company is looking for. Ultimately, the clients are the ones that make the final decision as to who to bring on to their family tree. They should not have any expectations as to what else the candidates will provide aside from the skills and experience to perform the job. What do you think of staffing agencies? Do you think staffing agencies lead clients to poor quality improvement?